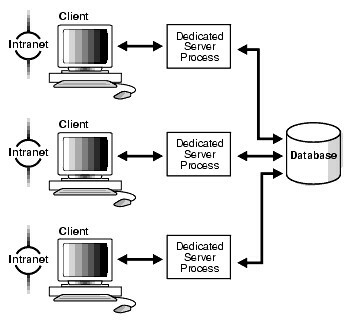 A dedicated server process is a type of service handler that the listener starts when it receives a client request. 1 - The listener receives a client connection request. and the dedicated server inherits the connection request from the listener. 2 - The listener starts a dedicated server process. the dedicated server process to the client in a redirect message. 4 - The client connects directly to the dedicated server.